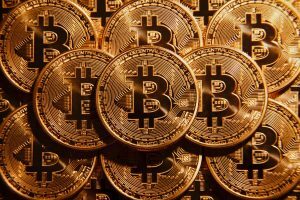 A new study is claiming that the sky-high prices hit by Bitcoin last year were the result of market manipulation. Bitcoin hit a near-$20,000 high in December last year, but has dropped to nearly $6,100 this week – the lowest since early February. Other digital currencies like Ethereum and Litecoin skyrocketed at around the same time by as much as 64 percent. Researchers at the University of Texas at Austin found that at least half of Bitcoin’s returns last year may have been a result of manipulation. A paper published by University of Texas professor John Griffin and graduate student Amin Shams explains how the digital currency Tether may have been used to inflate the prices. Griffin is well-known for his ability to identify fraud in financial markets. Tether is a token that’s directly linked to the US dollar, with each one being worth $1. Users can convert real-world cash into Tether and easily spend it on digital currencies. Tether was created and sold by the cryptocurrency exchange Bitfinex and is also used on other cryptocurrency marketplaces including Poloniex and Bittrex. Bitfinex stopped issuing Tether earlier this year, though the currency is still trading in large volumes. The report suggests that Bitfinex may have used it to buy up Bitcoin and increase demand. The paper says the more Tether that was released into the market, the higher cryptocurrency prices would rise. The researchers said the timing and magnitude of the purchases can’t be explained by organic investor demand.